We want to be steady winners in a shifting competitive environment. And occasionally chaos ensues. Communication gaps. Overload. We need Ninjas. The antidote for isolation is INTERACTION. 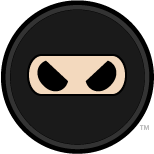 Ninjas are the accessible everyday heroes who have niche expertise and have our back. Ninjas propel us when we need enthusiastic partnership and give us props when we are in the midst of mighty victory. Know – Unearth the qualities of independent thought, fearless optimism, and organizational agility. Rely – Value volunteerism, foster collective confidence, and curate a shared experience. Trust – Leverage expertise, overcome obstacles, and connect with a shared iconography. Honor – Own your role, cultivate pride in community, and pay it forward. So Well Trained in What We Do, That We Can Help You. Suss out, switch on, and share your success skills. Call on Deena to customize an interactive keynote, workshop or event focused on introducing and installing true teamwork in a dynamically changing environment. Be Ninja. Find Ninja. Build a Ninja Network. Curiosity piqued? Interest provoked? Read about the nascence (AKA backstory) of the Ninja Network phenomenon. … my team loved you!